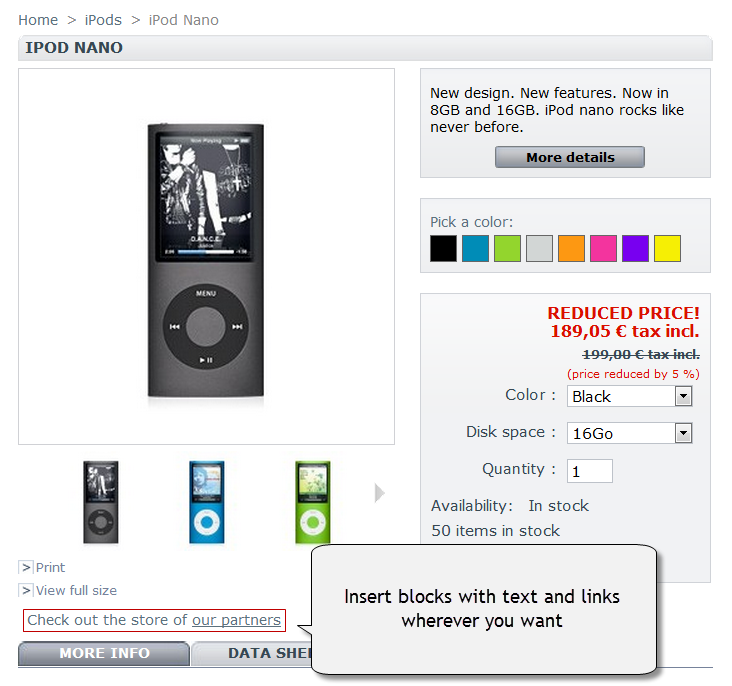 Apply additional content to your store pages, using block construction tools. Your advertising banners and text announcements will be displayed in any place on frontend without changing a standard Prestashop template. Relying on native Prestashop functionality and interface, the extension supplies your stores with static blocks for more content to be added. Leave the standard Prestashop template and layout files unchanged and insert extra blocks instead when you need to come up with ads or other vital information. 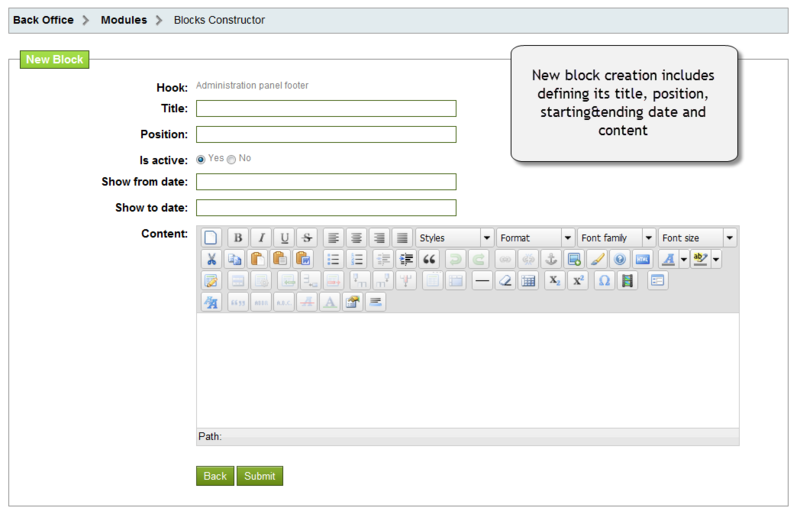 Blocks are applicable to any frontend spot and easily migratable according to admin’s wish. Adding blocks to any frontend spot. 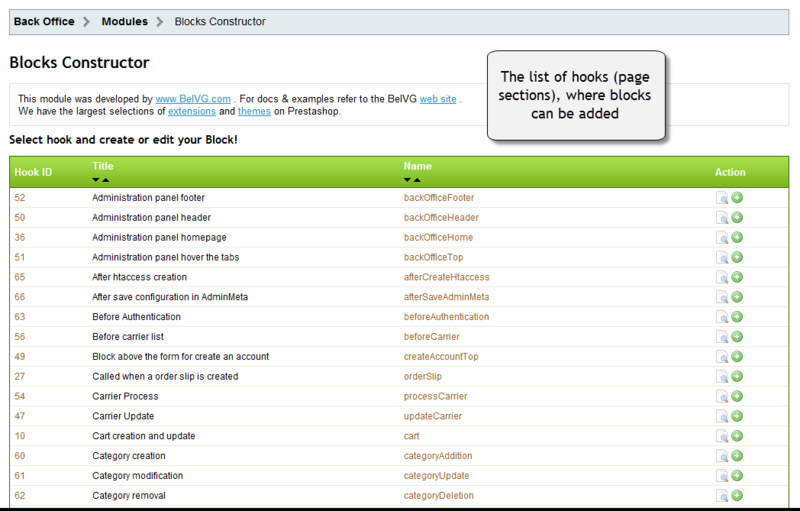 More than fifty hooks (page sections) exist in Prestashop template, and blocks can be placed in all of them. 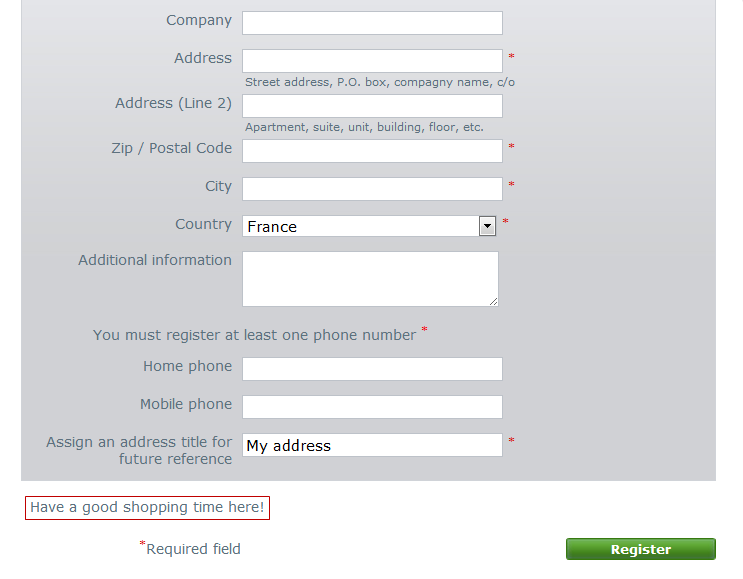 You have a standard Prestashop template with a predefined structure of all elements. Do you need to add advertising banners or announcements for your customers in the web-store? 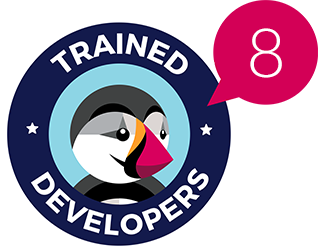 You don’t have to remodel the basics of your template because you can make it easier with Prestashop Blocks Constructor now. It assists you in adding extra blocks to your store hooks (page sections), in which you are free to insert text, images and links. 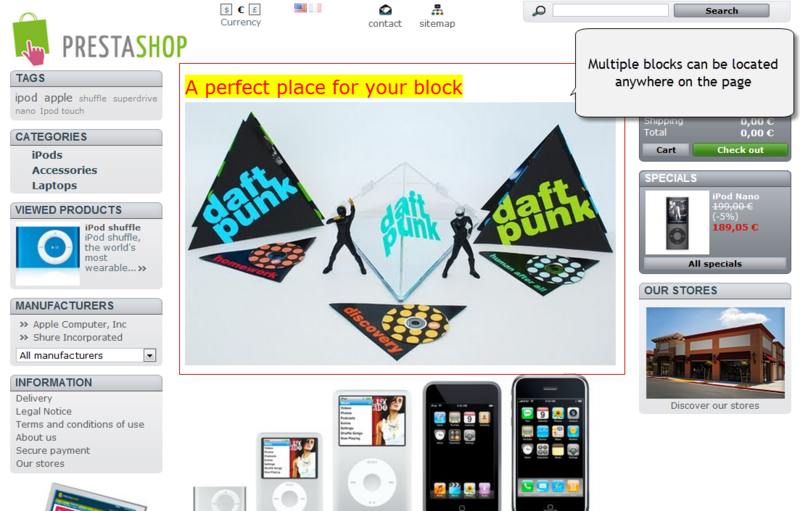 Point at a special offer in your store by adding the block with reminders for some time. Set its starting and expiring date, and it will disappear automatically when the time goes off. 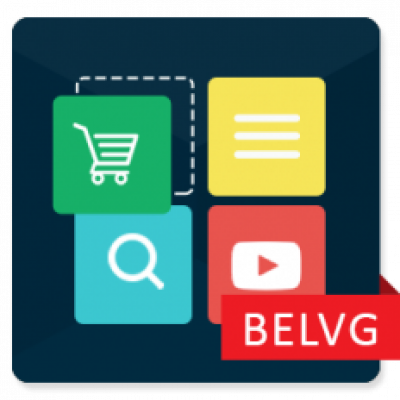 If you have any questions about Blocks Constructor, please, contact our support team at store@belvg.com.